Wet Windshield? Postpone That Repair! There will always be rainy days. Unfortunately in the windshield repair business, water and resin do not mix. Simply wiping the water from the surface is not sufficient. When it rains, water seeps into a break on a windshield and if you try to repair it, the resin will not completely setup and cure. When the water eventually evaporates from the repair, you will be left with ugly air pockets inside of your repair and an unhappy customer. If you have an indoor facility, then you can dry off the windshield with a towel and use a hairdryer to evaporate the water from the break before the repair. This will take some time. 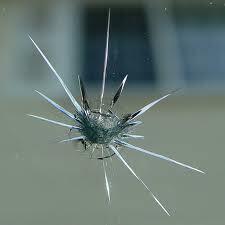 You want to make sure that the glass does not get too hot as this can cause the break to crack. Or you can simply let the water evaporate naturally. Whichever method you choose, take your time and make sure that the break is free from moisture before proceeding with your repair. 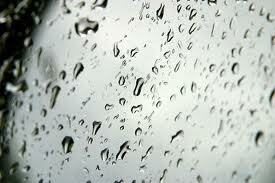 If you don’t have a facility to do an indoor repair, then simply postpone it until the next dry day. If you explain to your customer that rain can ruin the repair, they will gladly wait. 1. If you want to see how a leg of a star is filling you have to get your eye down near glass level and look at the leg from its side. From that angle you can see the depth of the line and actually see whether or not the resin is filling in. Because the leg is so thin, looking at it from above will reveal nothing. 2. Be sure and look at the leg of a star from both sides when filling it. The general rule is if you can see it from one side and not the other, then it is filled. If you can see the leg from both sides, then it is not filled. 3. With your injector under pressure (piston screwed down), use your probe to apply slight pressure at the base of each leg. This technique forces the resin to fill the leg all the way to the tip. Be sure not to press too hard as this can make the leg grow. 4. If you are doing a star repair and all the legs are filling great except for one, then you will want to drill directly into that leg and fill it from the new drill hole. Use these tips to insure you are performing the absolute best windshield repairs possible. 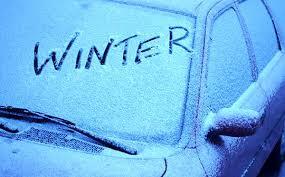 As winter is upon us, many of you have asked the question…Is it safe to do windshield repair in cold weather? While repairing windshields outside in the bitter cold is not ideal, it can definitely be done. For best results, take the following tips for cold weather repairs. In frigid temperatures, don’t store your resin and equipment in your vehicle overnight. Bring your windshield repair kit inside with you so the next day it is warm and ready for your first repair. Keep your resin warm during the work day. If need be carry your resin bottles in your pocket. Warm the windshield with the defroster. To keep the windshield from cracking, make sure not to over heat the glass. Around 70 degrees Fahrenheit is optimal. If the defroster is not available then use a lighter to warm up the area to be repaired. Again not too hot. Allow for extra time during the curing process. Usually an extra 2 minutes is adequate as long as the you have ample sunshine. For partly cloudy conditions, add another minute or two. If you are using a UV lamp, try to keep that warm as well for optimal curing power. As always never attempt to repair a windshield that is wet. The break needs to be completely free of moisture for the repair to work. I hope these tips will help you this winter perform the very best repairs possible. Of course the very best cold weather solution is to perform your repairs indoors if that is at all an option. In order to accommodate our customers using mobile devices, we’ve changed our site to make it easier to place orders on smart phones and tablets. No more resizing windows just to see what you’re doing. We’ve also added individual customer accounts so you can sign in, save personal preferences and review past orders. PayPal is back as a payment option and USPS is now available for our international customers to make shipping more affordable. We’re working hard to make it easier and more convenient for our customers now and in the future. 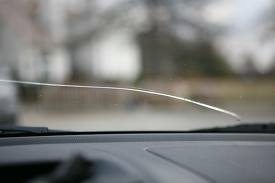 Ask windshield repair professionals about repairing long cracks and you’ll get a multitude of answers. Some will say emphatically “that long crack repair doesn’t work. Anything longer than 6 inches has to be replaced.” While others will tell you “I can repair a single running crack all the way across the windshield without a problem.” Well the truth is a single running crack can be repaired successfully all the way across the windshield if you like. Most will limit it to 2 to 3 feet. The reason is that a crack all the way across the windshield has usually been there for quite a while. And because a crack is open at the surface for 99% of its length, it has accumulated a fair amount of dirt that gets embedded into the crack. So why is that bad? 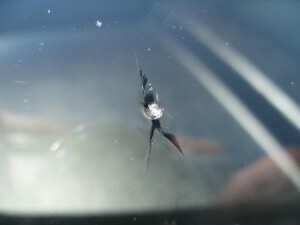 Well after any windshield repair is performed, embedded dirt in the break is visible. More so on a long crack. So how about long crack repair? Well with the proper equipment, resin and training, long crack repair can be a very profitable addition to your windshield repair service. The fact that not everyone performs this type of repair means it can be a specialty niche for your company making you stand out from all the rest. If you have any questions about adding long crack repair to your company, please contact us at 888-267-4800 and we will be happy to answer all of your questions. 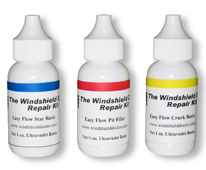 Every windshield repair company relies on a number of different resins and supplies to make their operation successful. 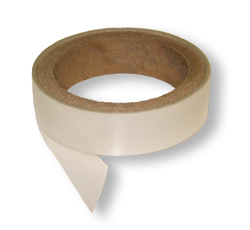 Here we will share some money saving tips to make your supplies last longer and go farther. People today use credit and debit cards to pay for just about everything. Windshield repair is no exception. If you don’t accept that form of payment you could be potentially losing out on quite a lot of business. 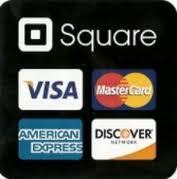 Fortunately there is a simple solution where you can start accepting credit cards using your smartphone and a plug in card scanner from companies like Square Up and Intuit. 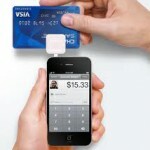 Both allow you to take credit cards while paying a flat rate per sale of 2.5% to 2.75%. No additional monthly fees apply. You only pay when you use it. Getting started is easy. Contact the company’s website and order the free scanner and download the free software to your smartphone. Fill out a simple application and you’re on your way. Don’t lose another job to the big boys. Start accepting credit cards today! You’ve heard that windshield repair is easy to do. It is with the proper training and equipment. The following video will show you how it’s done. 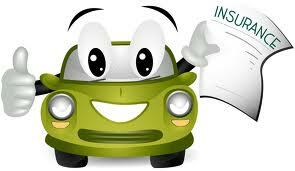 The Importance of Windshield Repair!